Because of the building right beside the road (you can see it clearly on Google Earth) with dozens of old appliances lying about in front, we always called this “Refrigerator Heaven”. 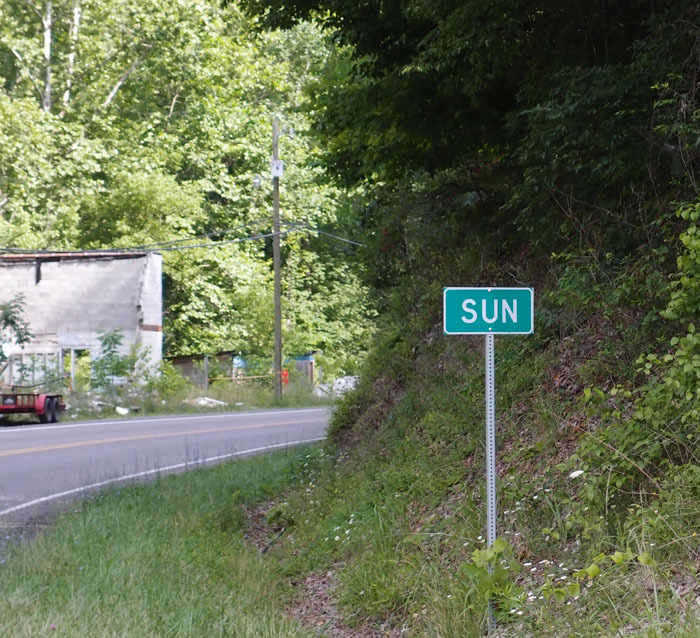 I’ve done a cursory scan for information about Sun, but still haven’t found out much. It’s right by the active CSX line (just about a half mile back toward St. Paul is where we stumbled across the two badly damaged CSX locomotives that were on a side track and totally without any security…first time I’d actually ever seen inside a locomotive control room.) and could have been associated with the line in the past. I don’t know. Do you? I will appreciate any information and post it here so others may be enlightened, too, as they travel on 63 between St. Paul and Dante.